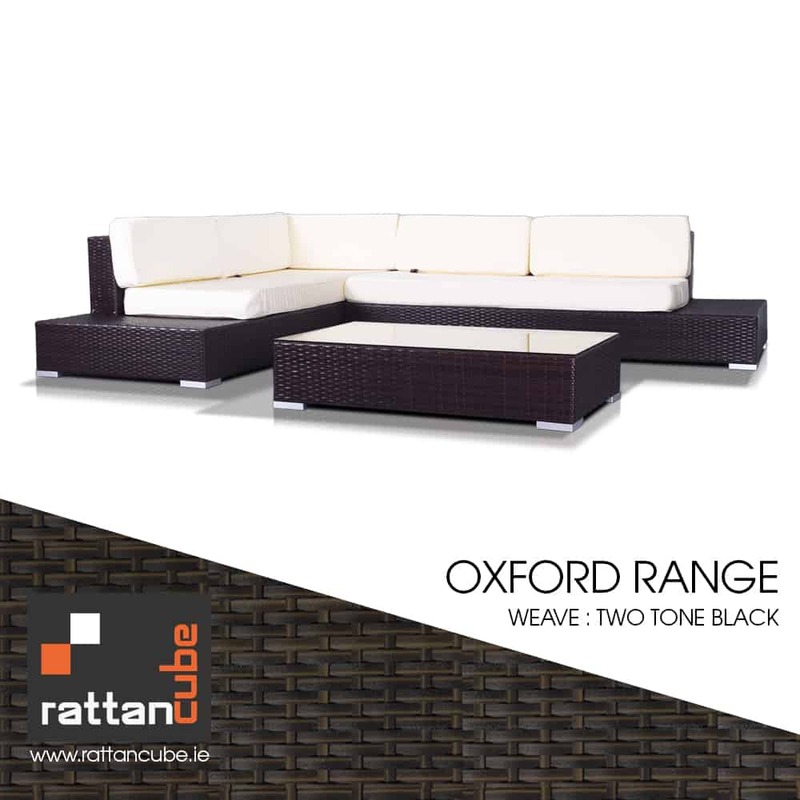 The Oxford Sofa is one of the Largest in the Sofa range along with the Vienna corner suite. 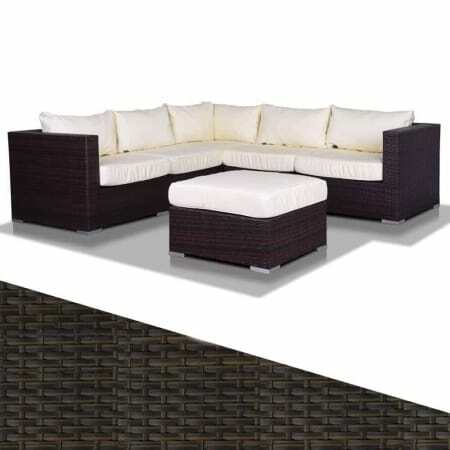 The Corner Sofa is perfect for outdoor use or indoor and outdoor use, this set is hard wearing and will last years if looked after and covered in winter. 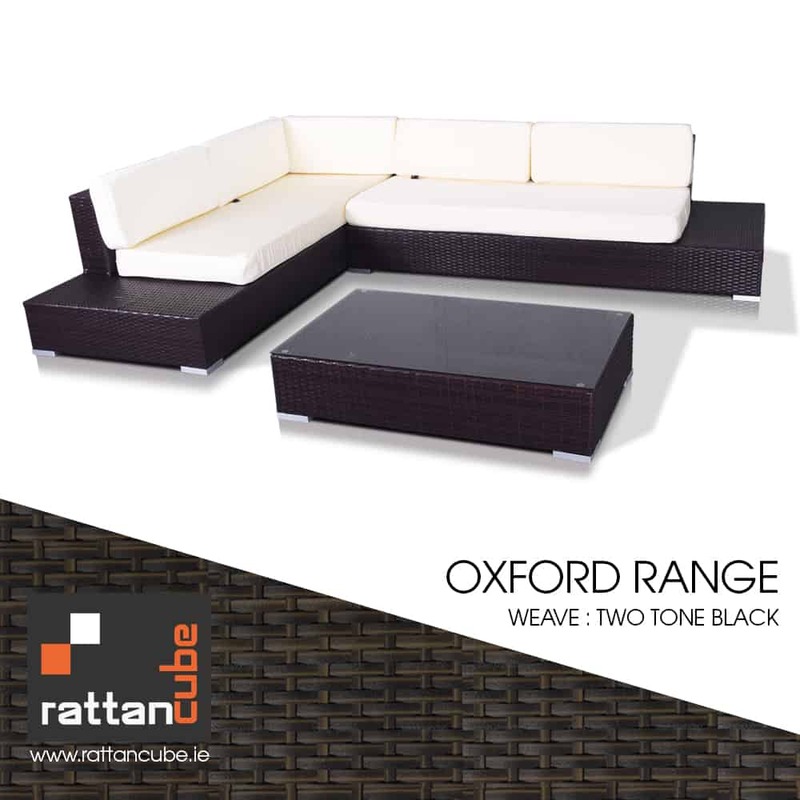 It can seat up to 8 people and comes with cream cushions with piped edges, which are machine washable. 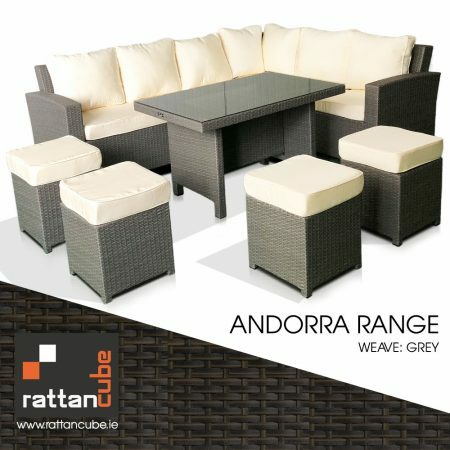 There are 3 Sections, 2 long Chair sections Corner unit and a table. 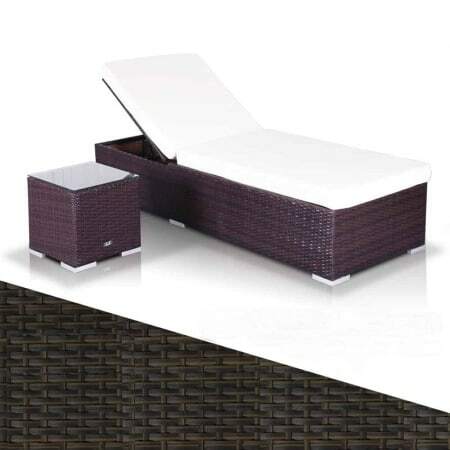 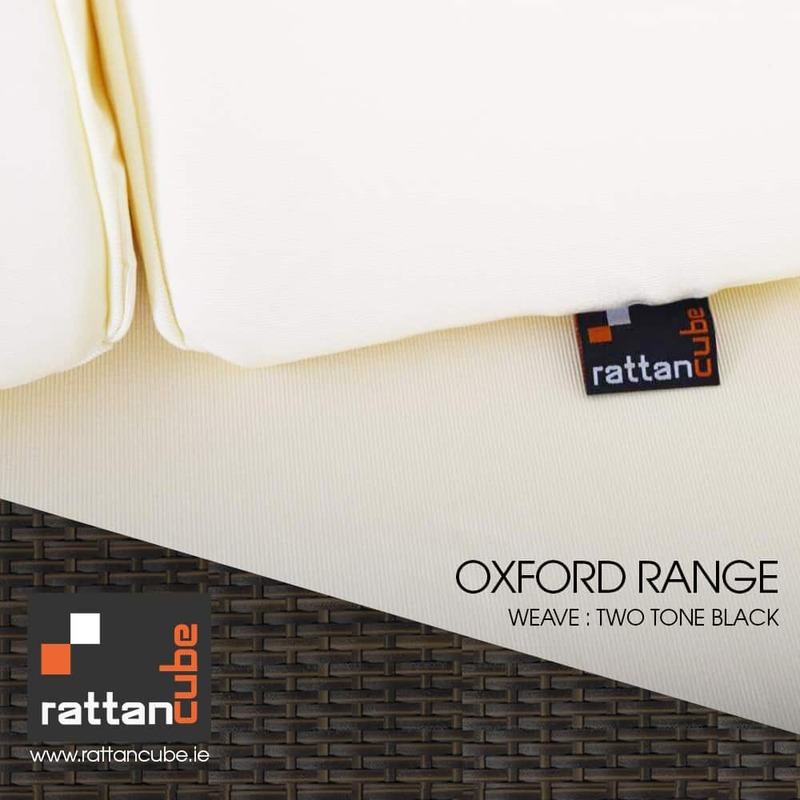 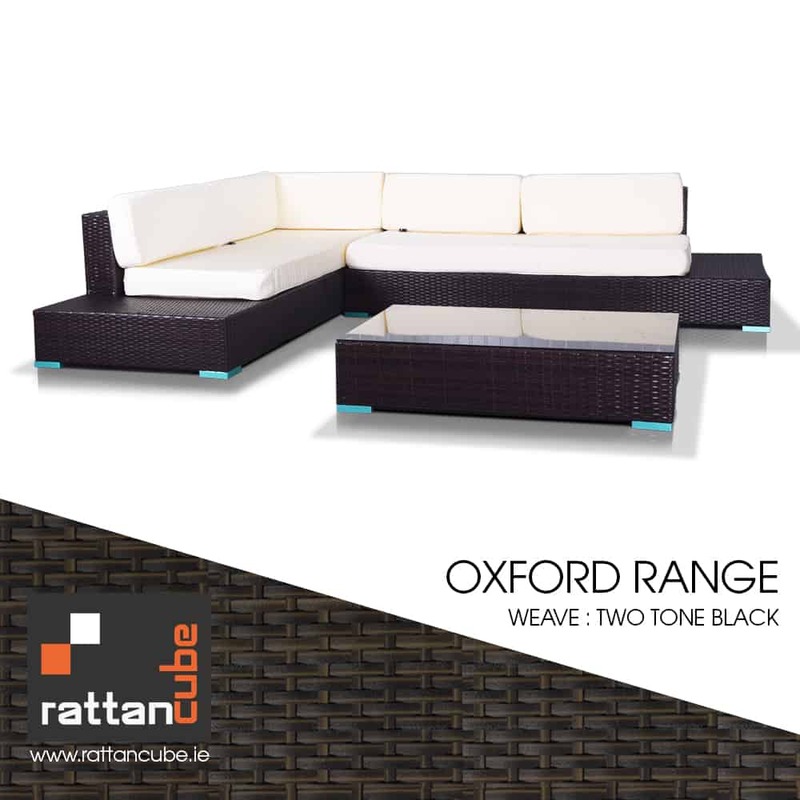 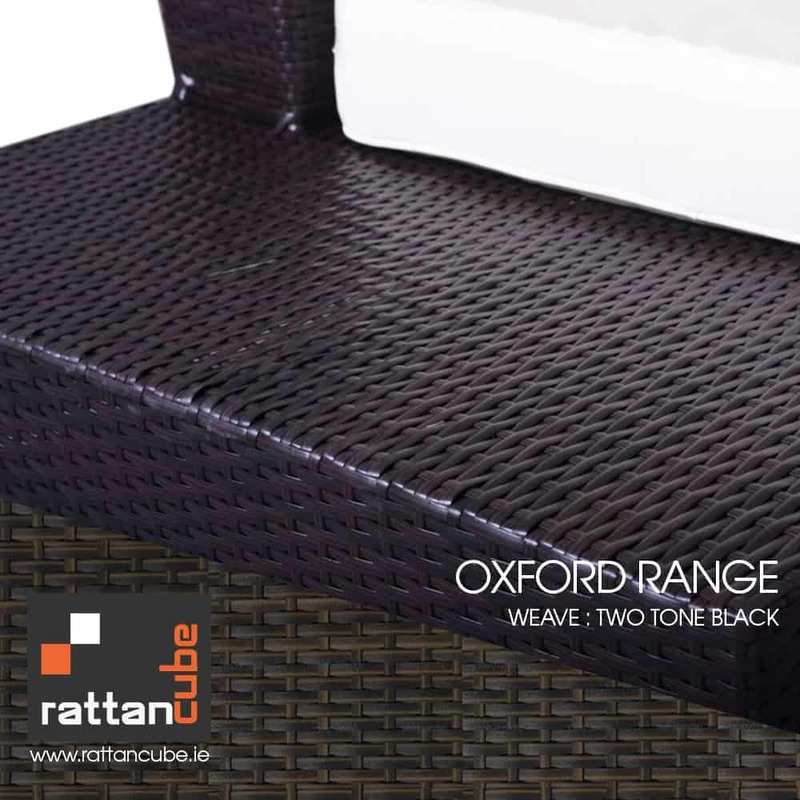 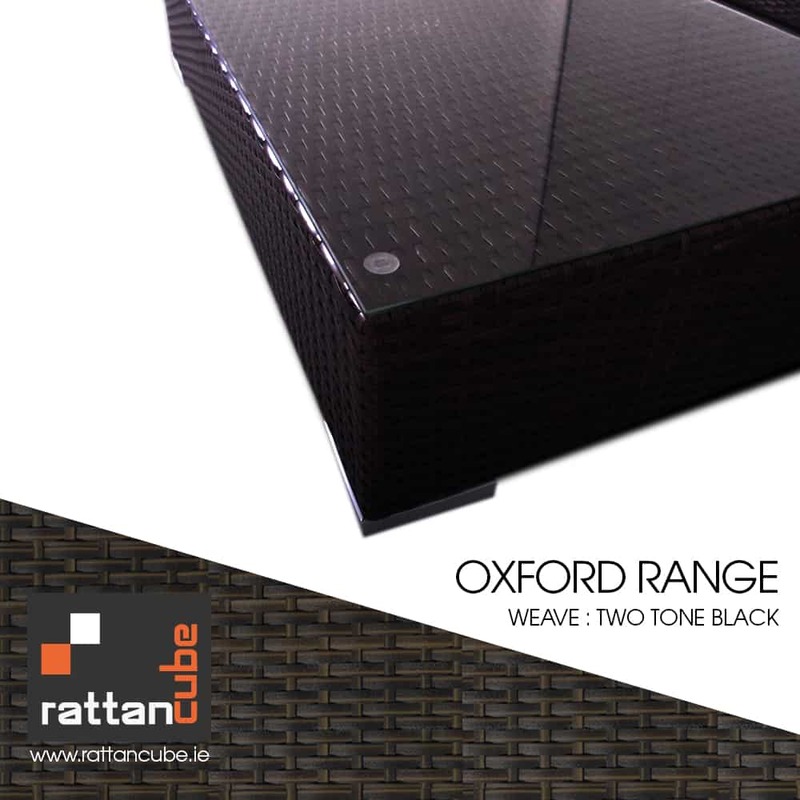 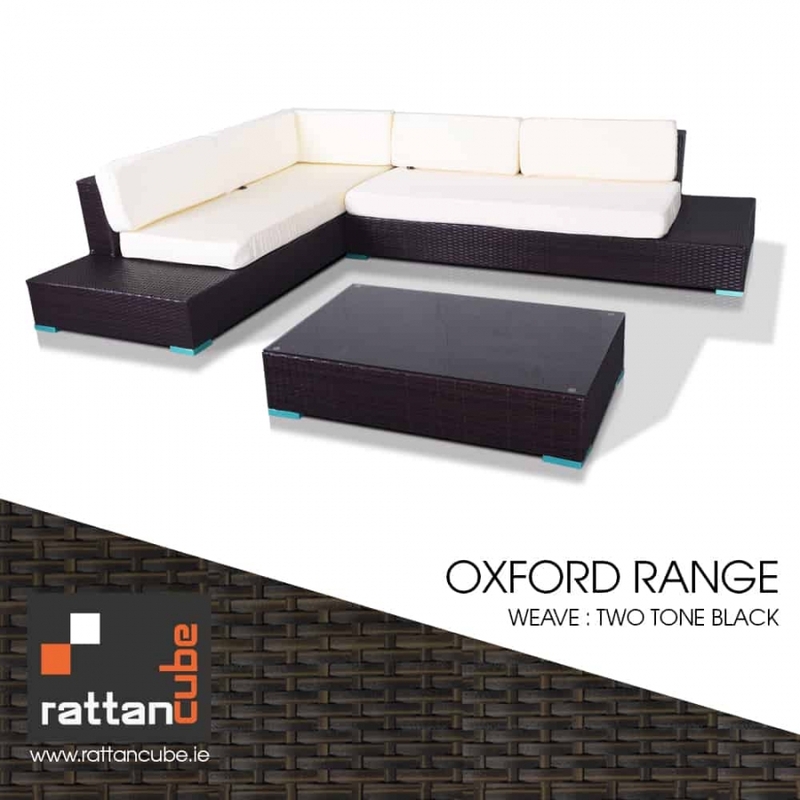 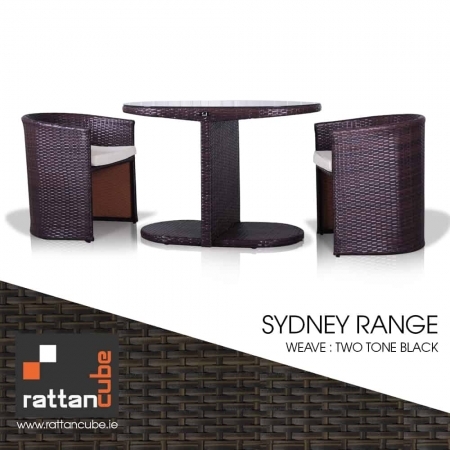 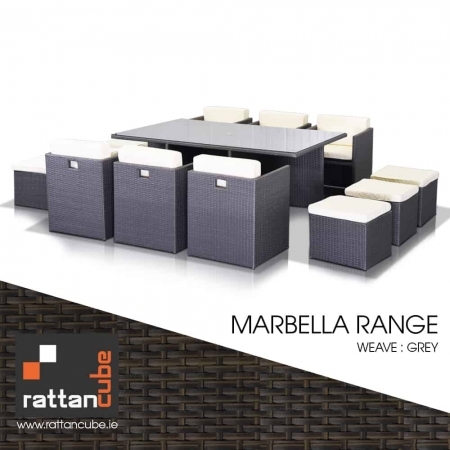 The rattan comes in a two tone black colour which is 70% black and 30% brown poly synthetic UV protected rattan.